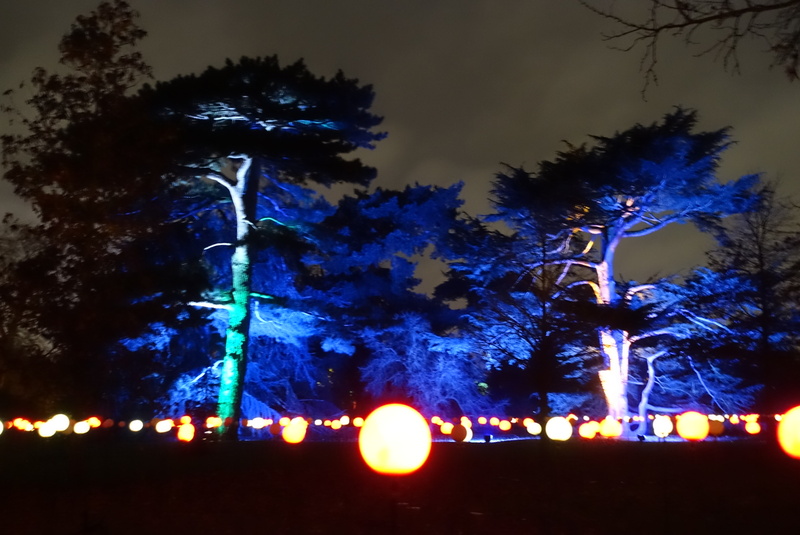 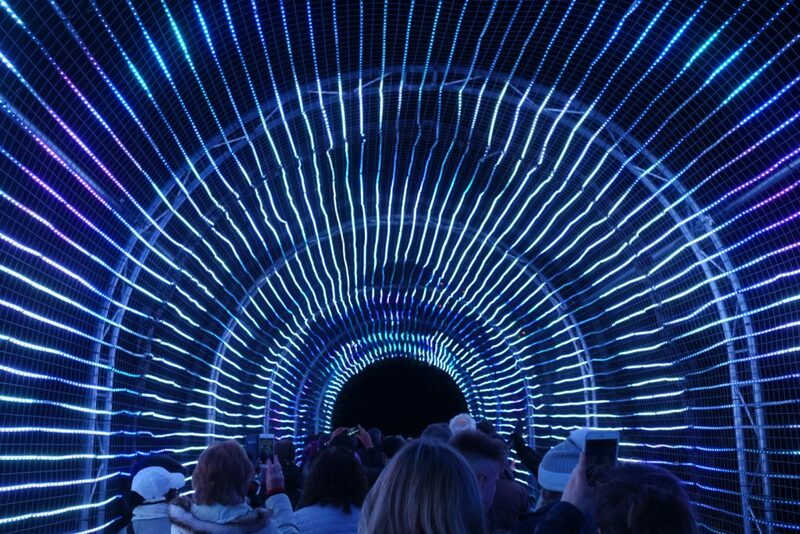 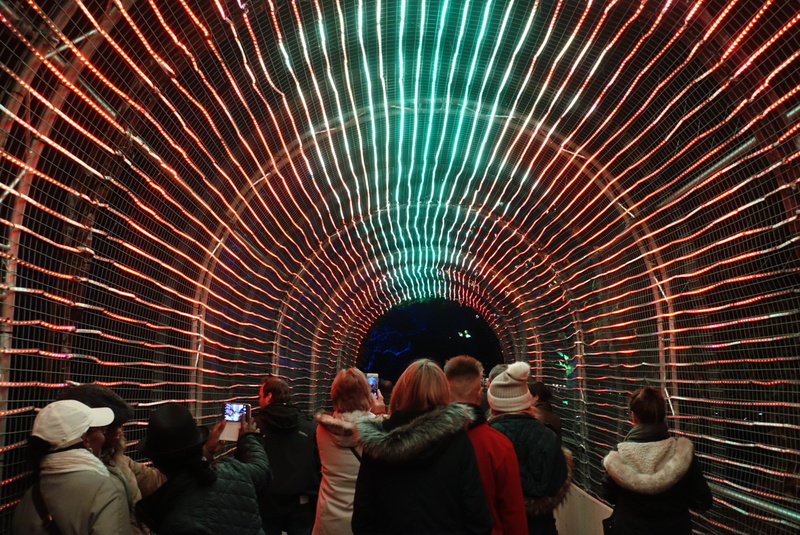 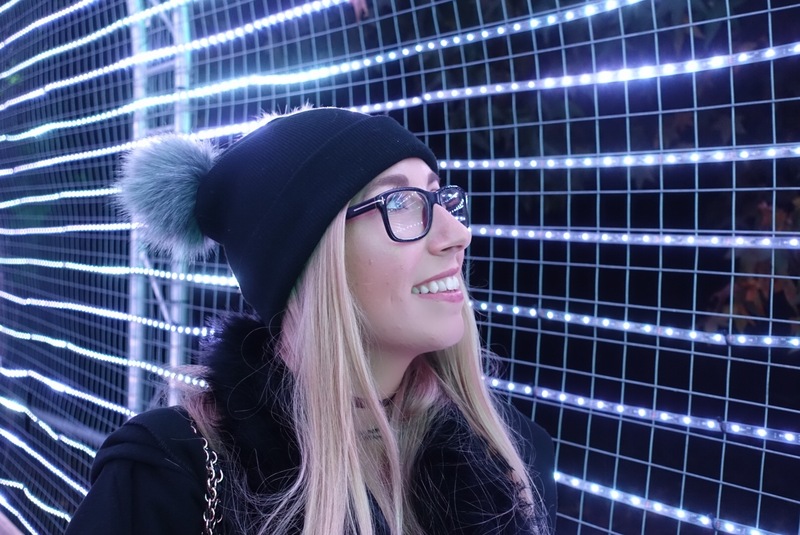 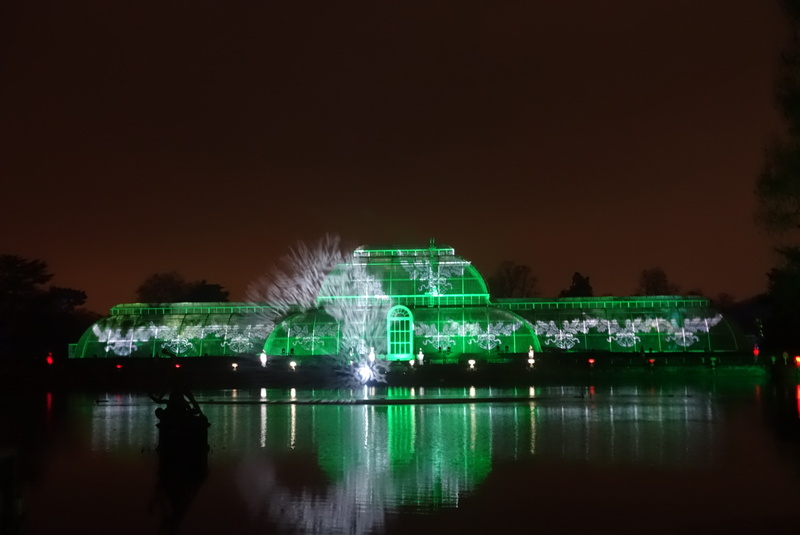 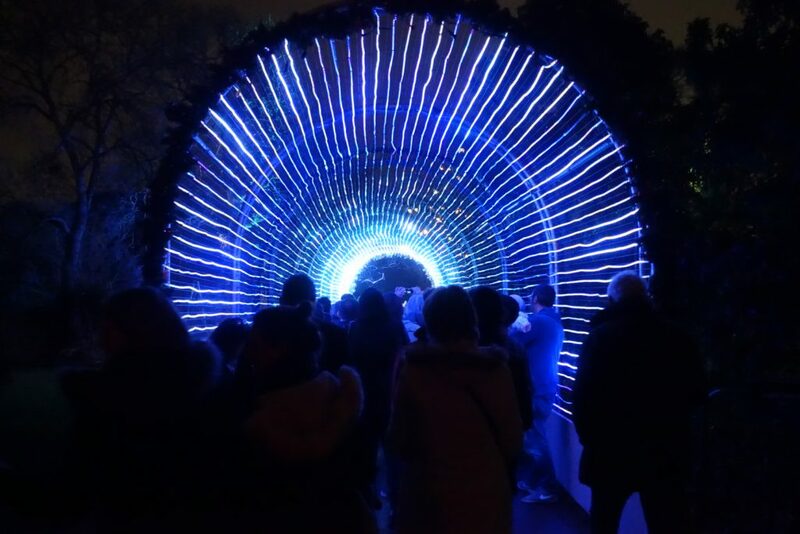 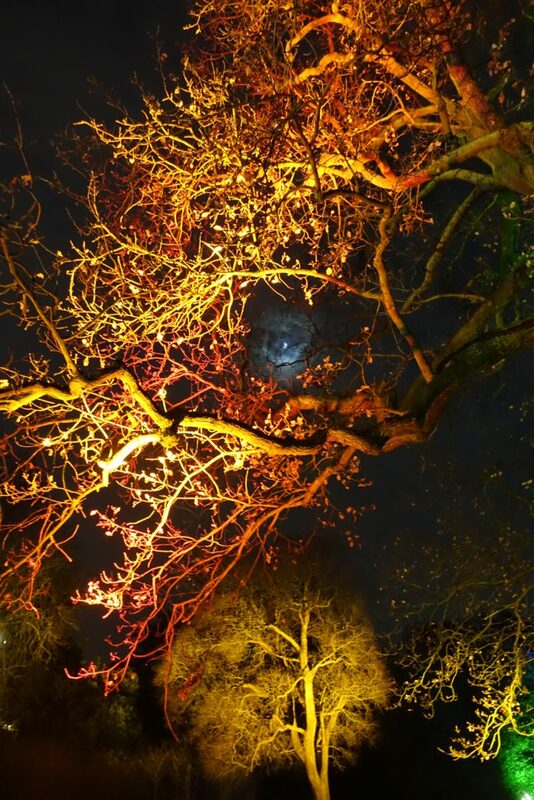 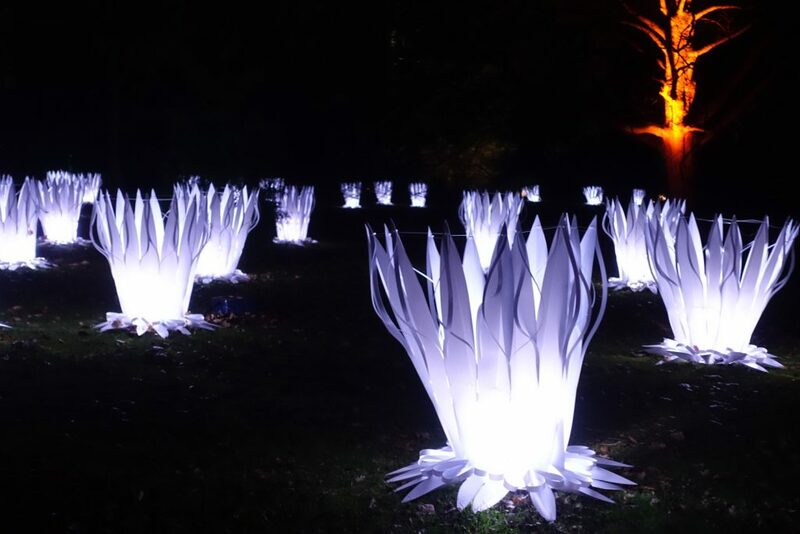 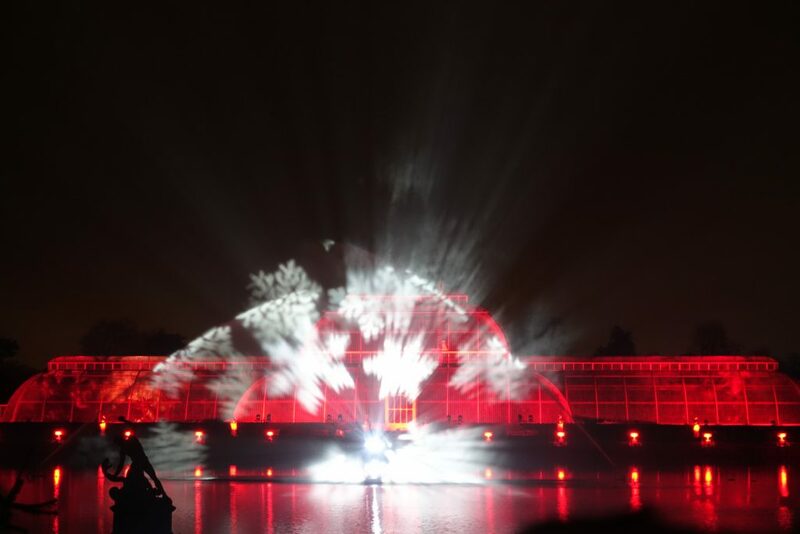 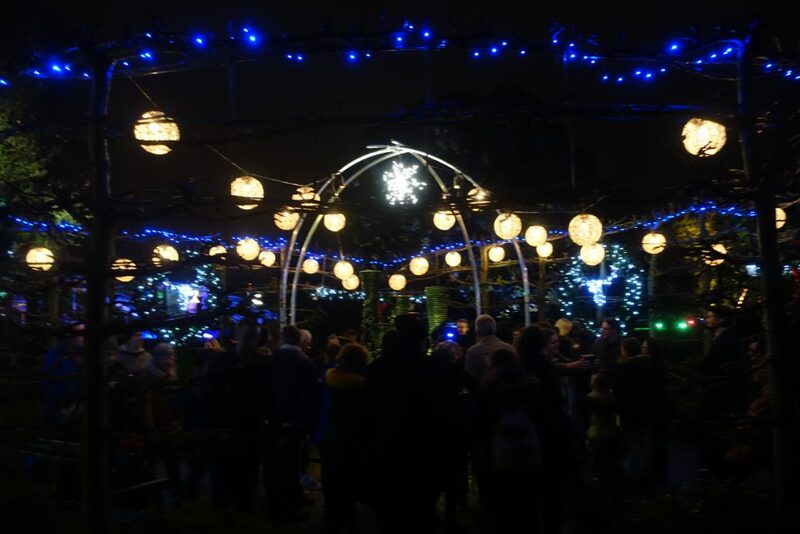 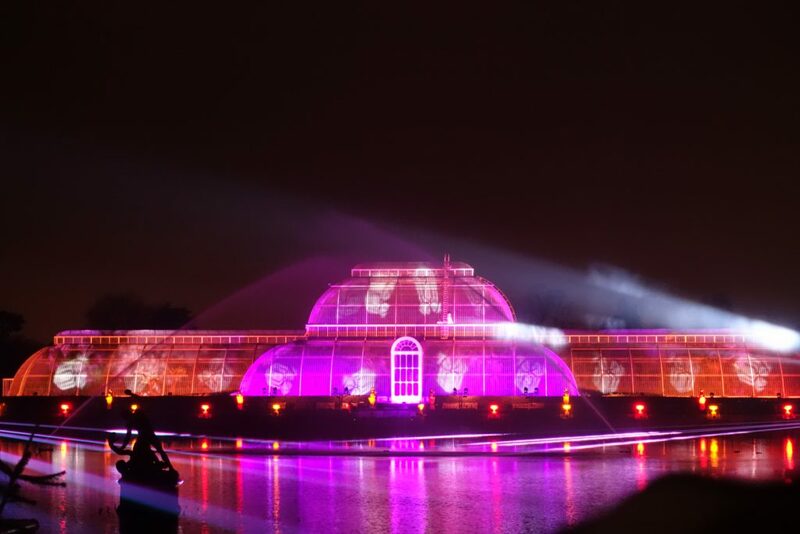 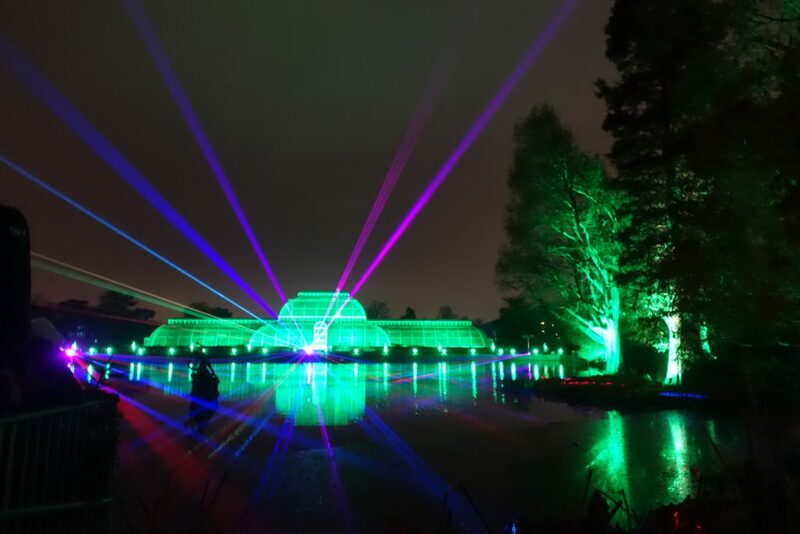 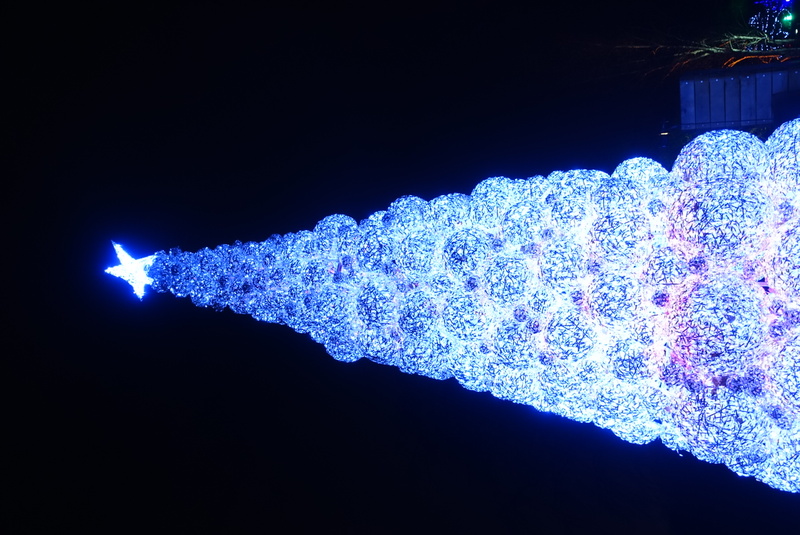 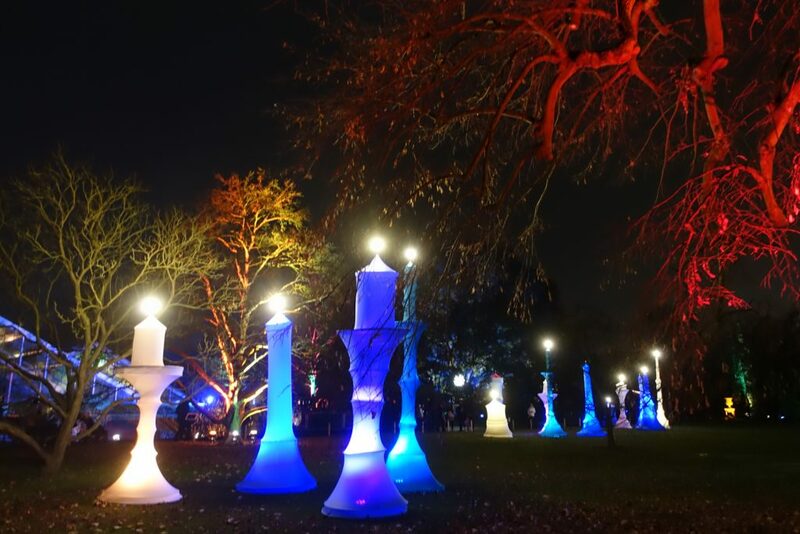 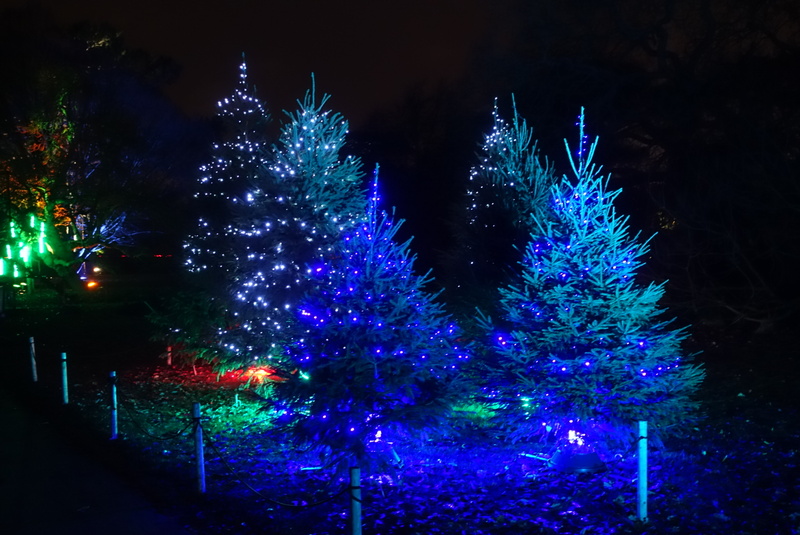 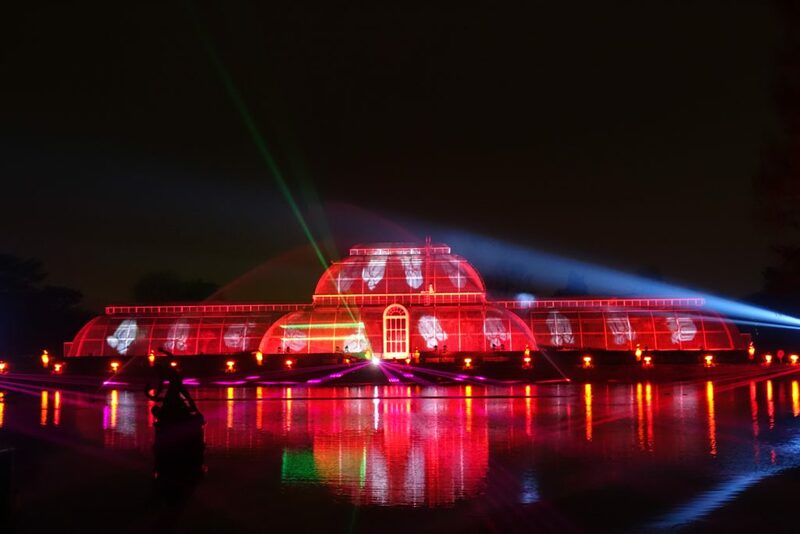 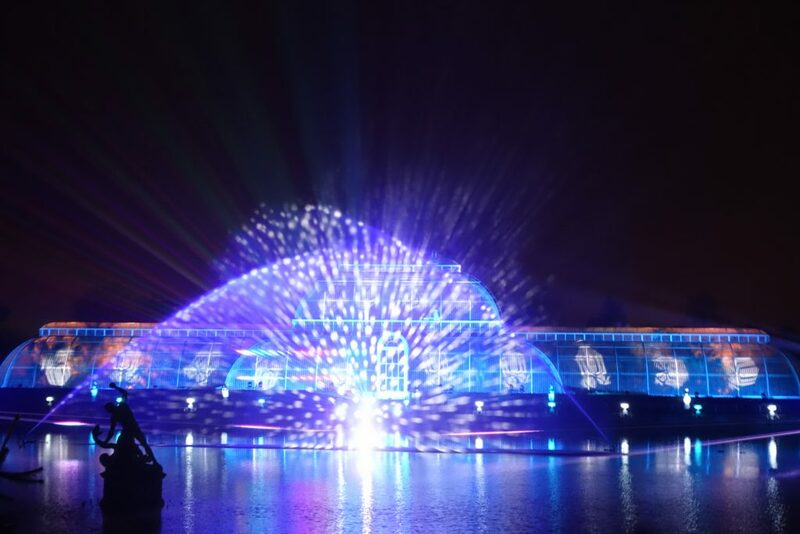 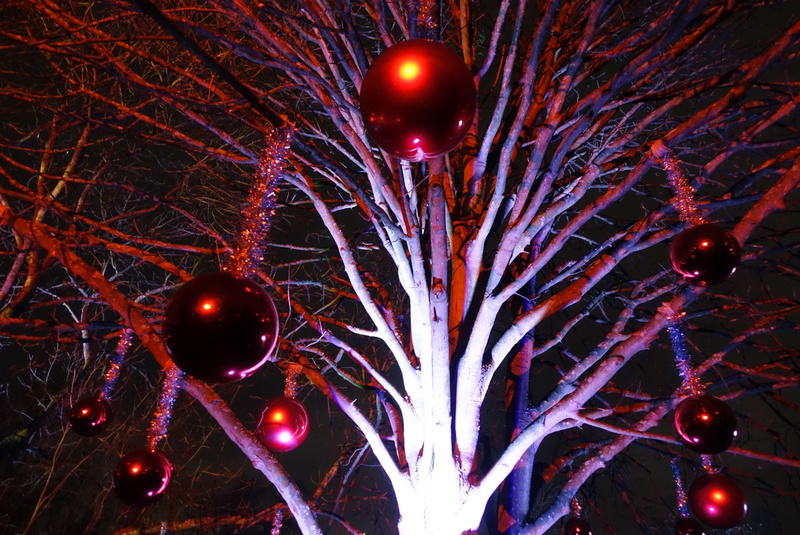 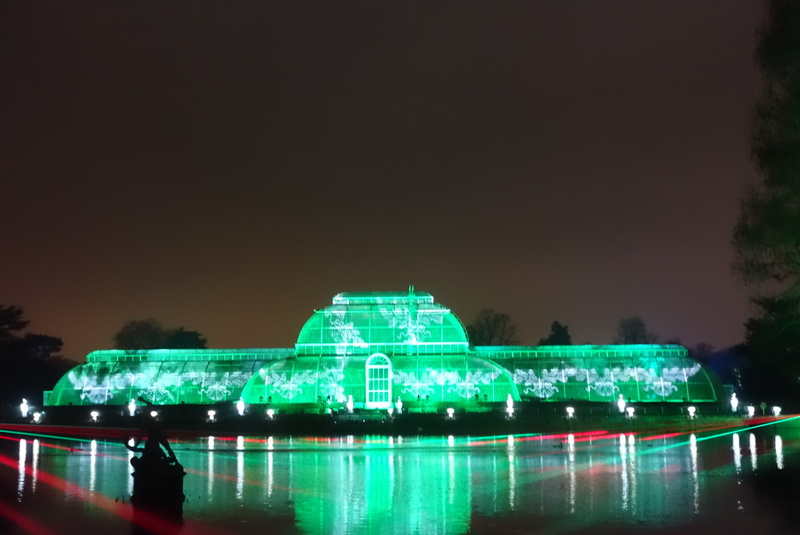 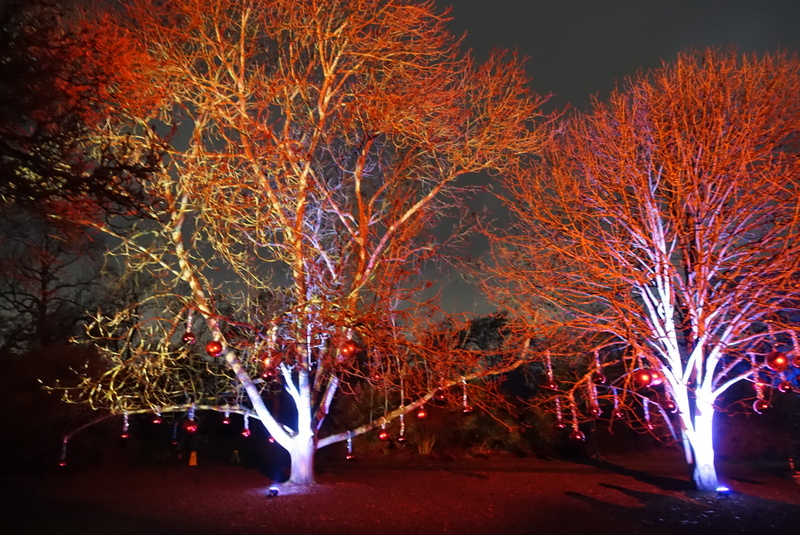 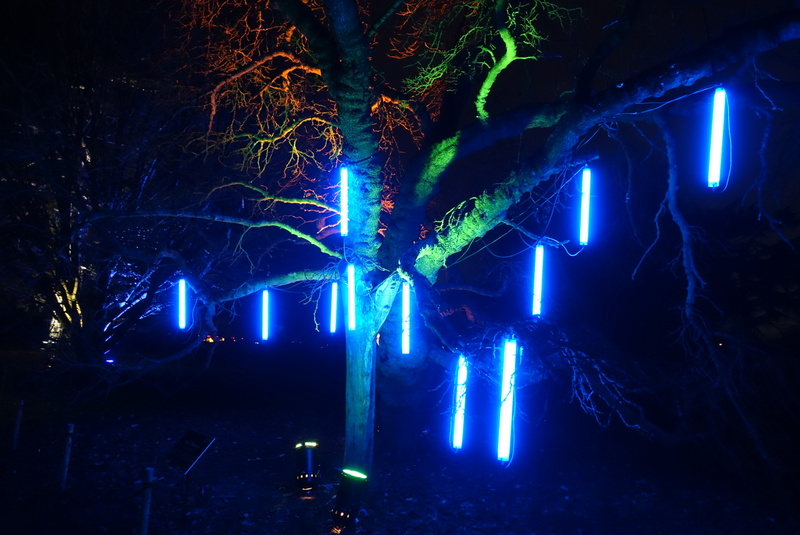 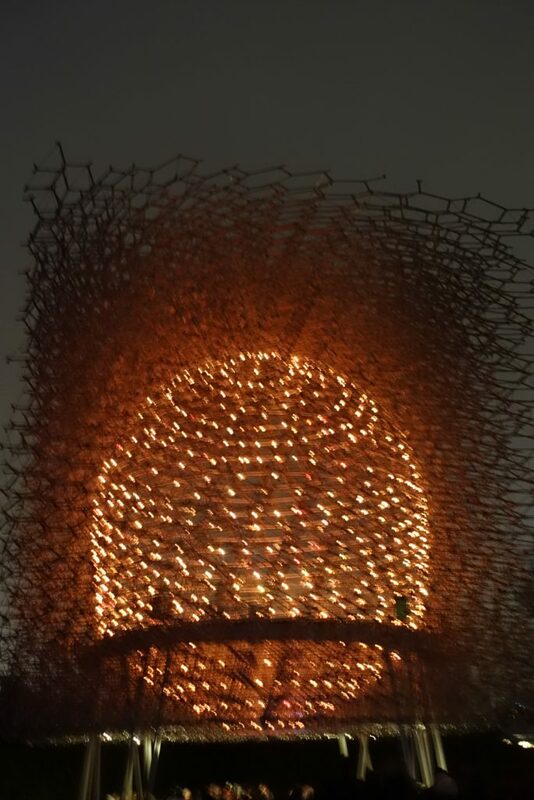 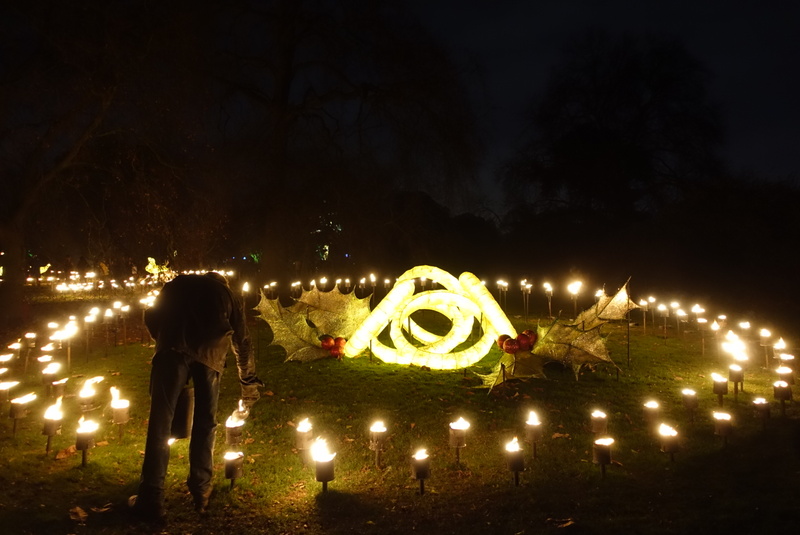 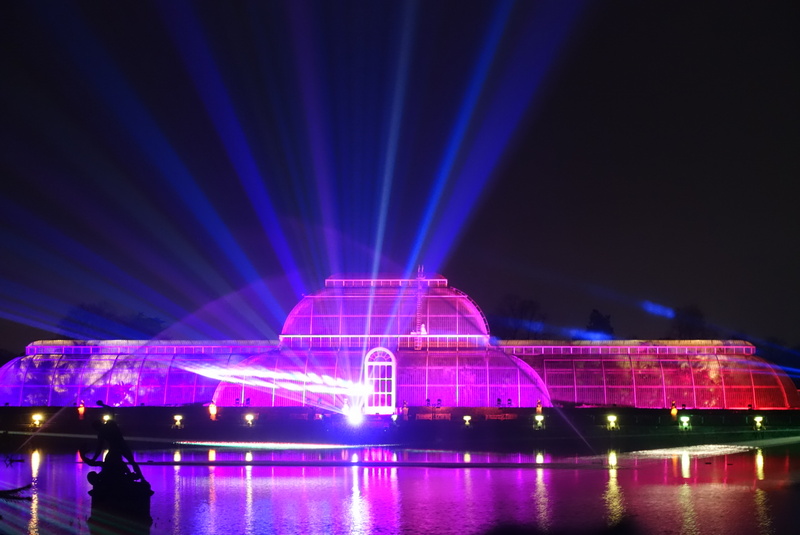 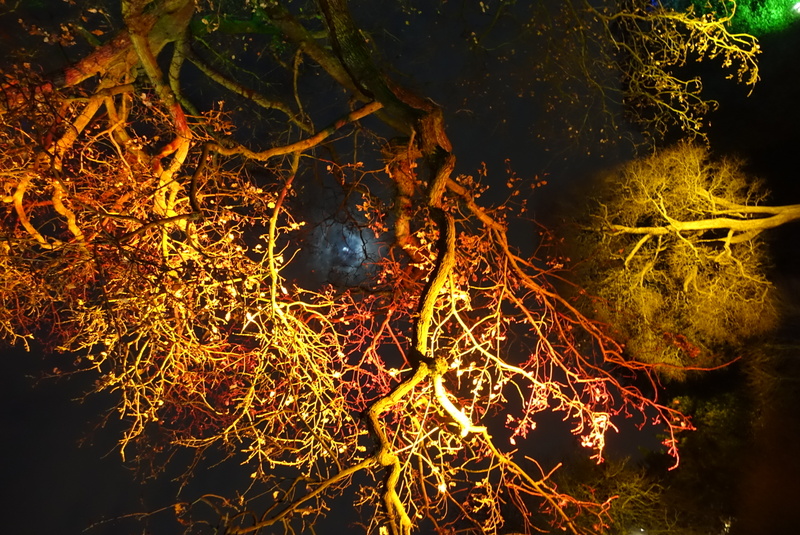 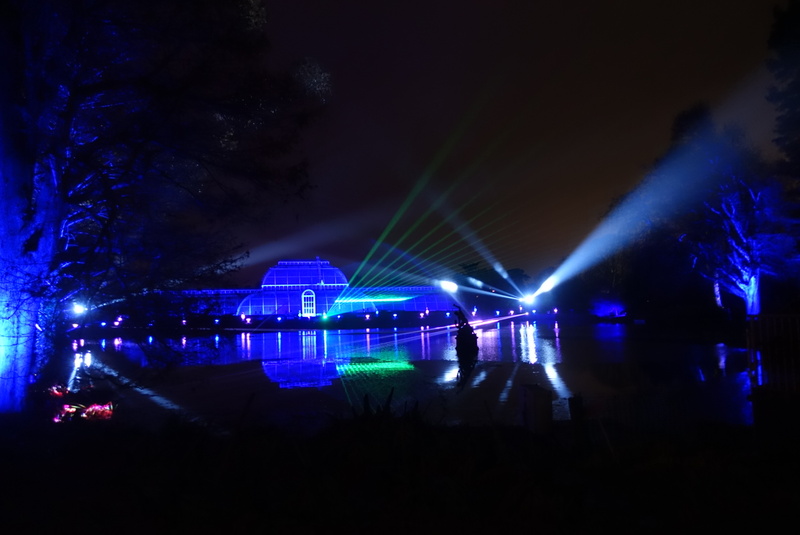 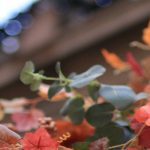 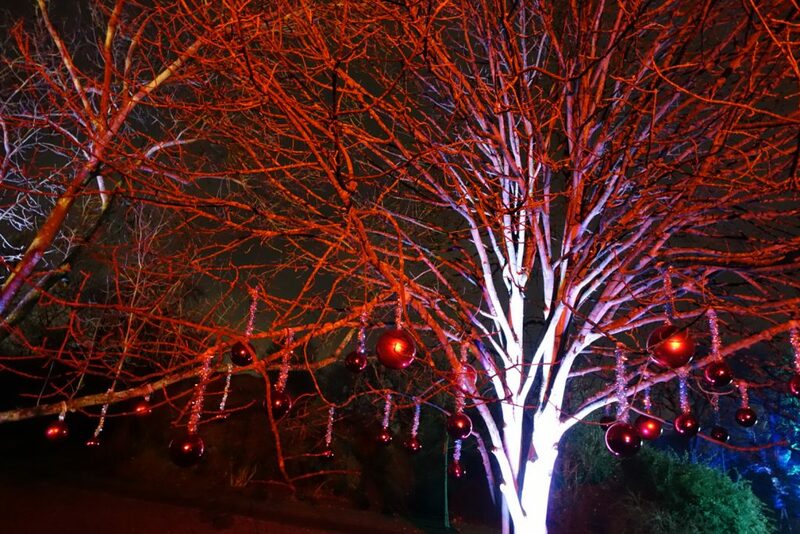 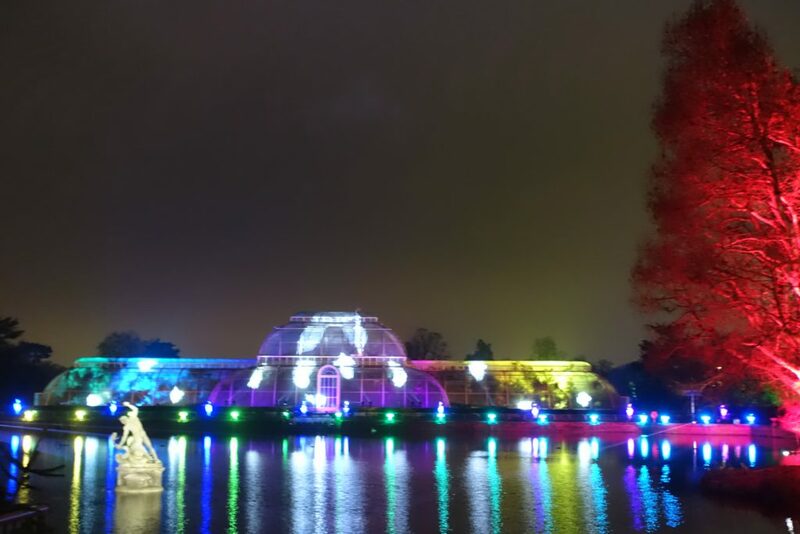 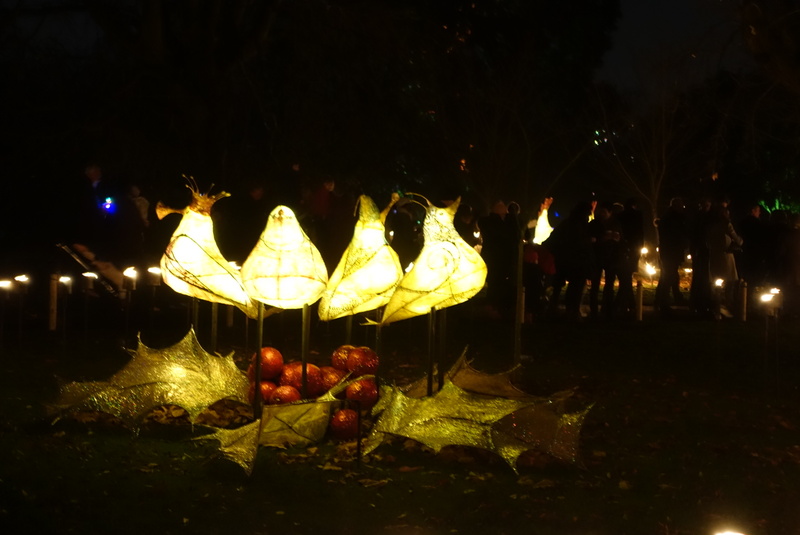 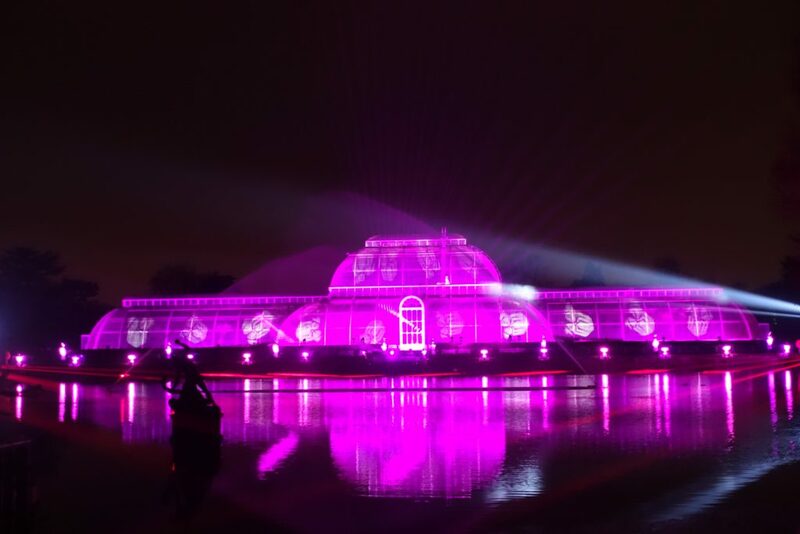 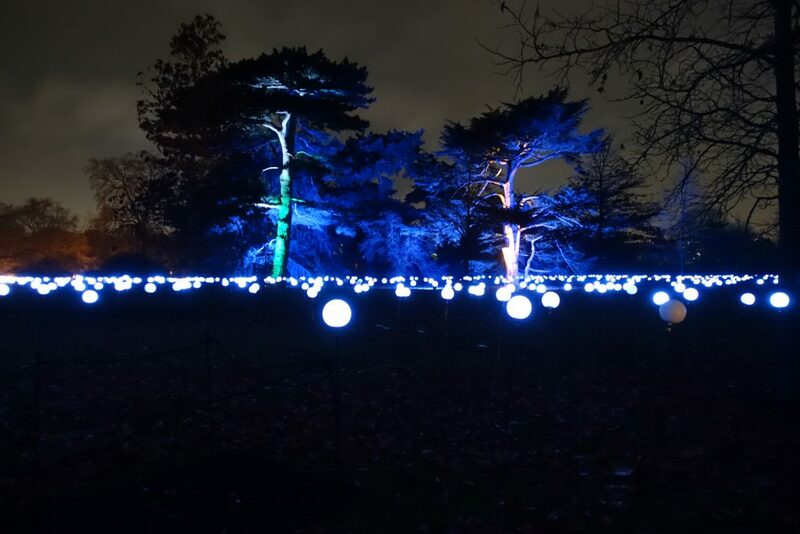 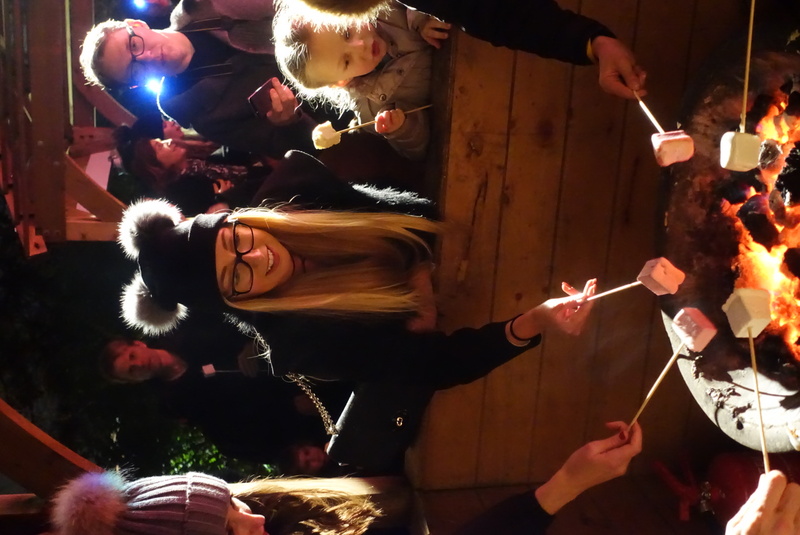 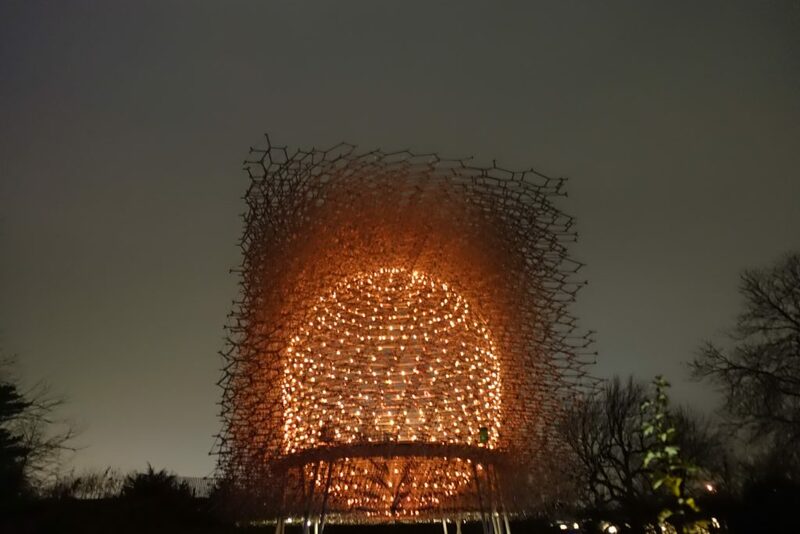 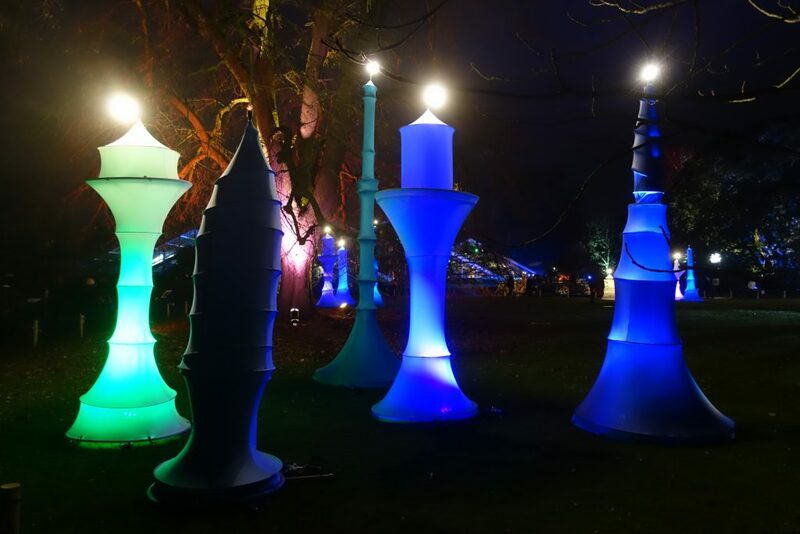 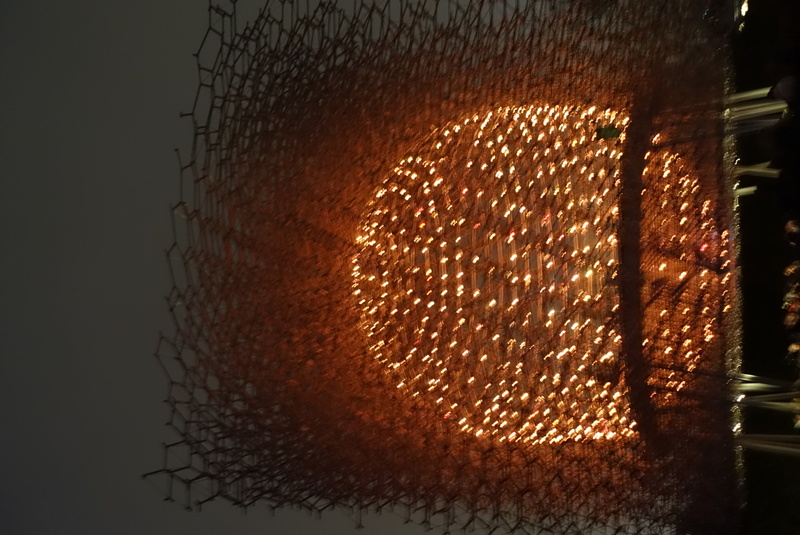 There’s nothing more festive than Christmas at Kew Gardens… Every year, they put on an amazing lights show, and this year was no different. 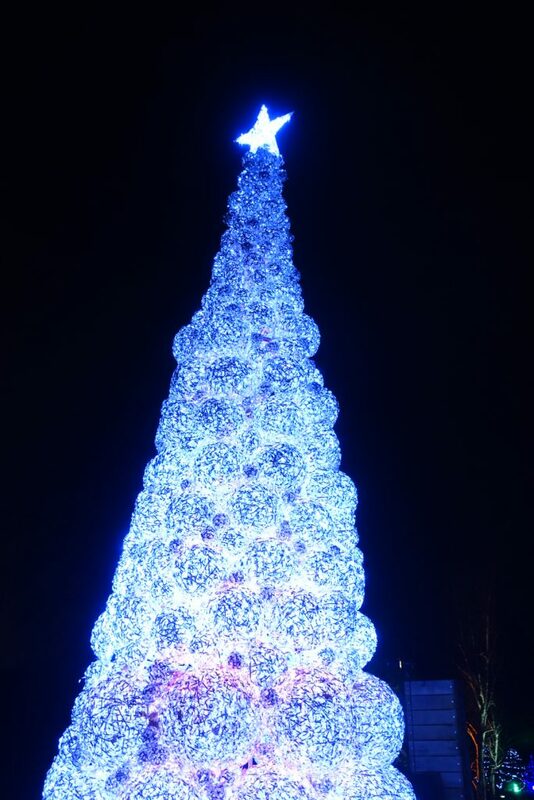 It was so beautiful and made me feel super in the Christmas spirit. 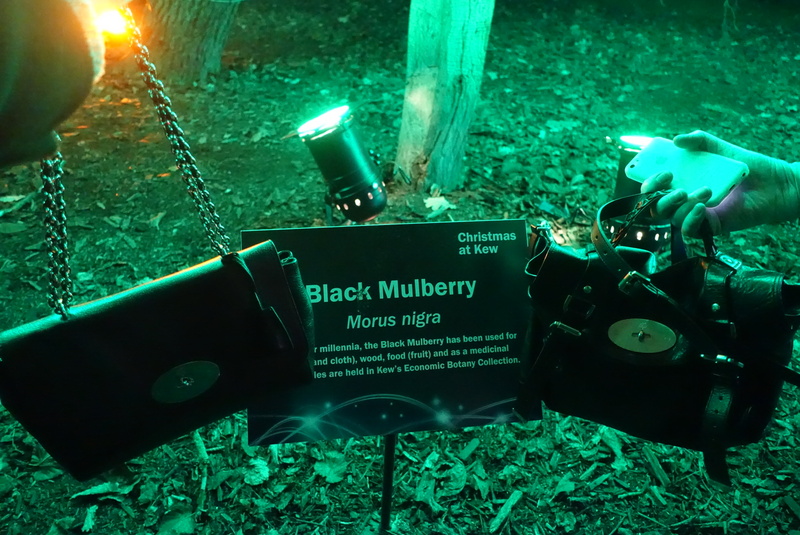 We found it hilarious that there was a black Mulberry tree and we both had our black mulberry bags with us haha! 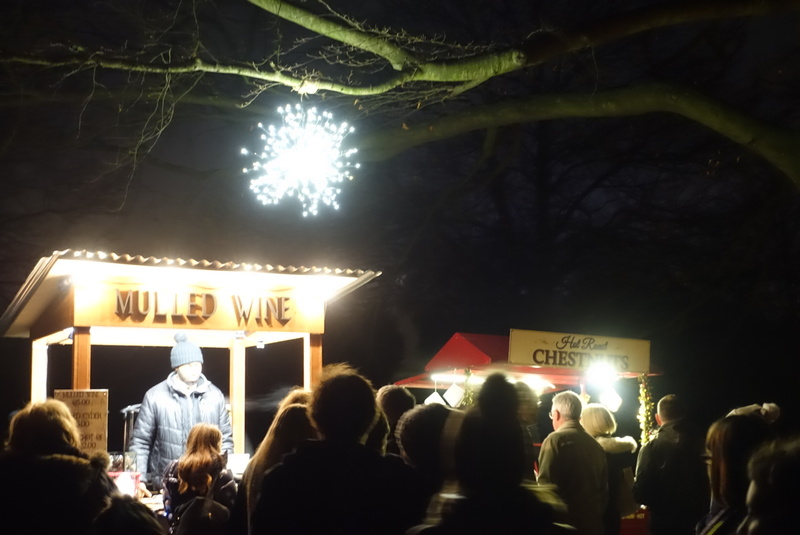 Of course there was no shortage of mulled wine too! 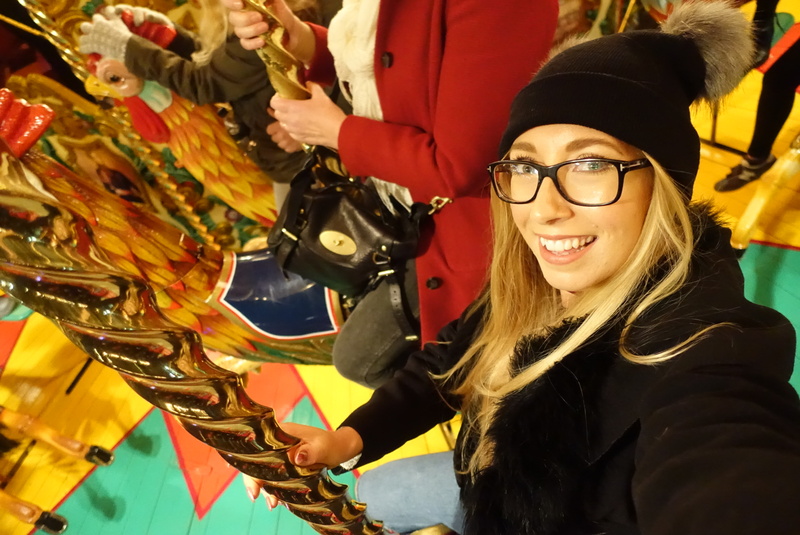 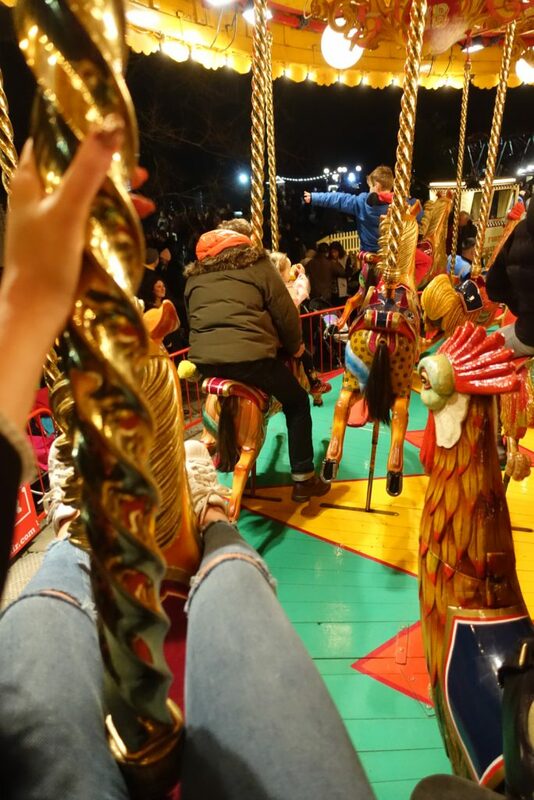 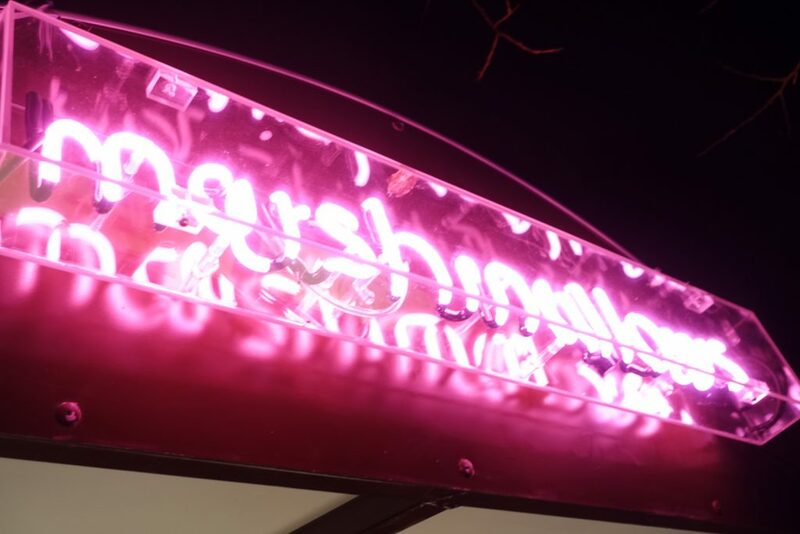 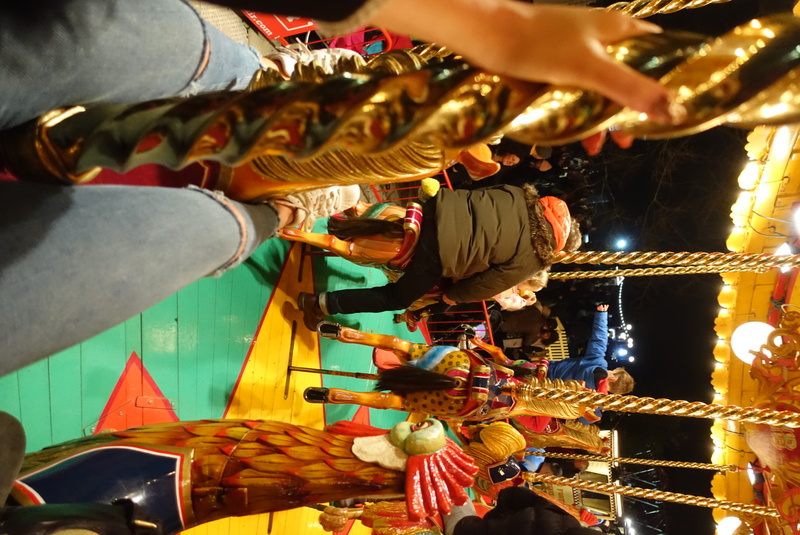 Once you got half way through the route there stood a fun fair in all its glory, so naturally being the 4 year old self I am, I had to go on the carousel and if you go I would highly recommend you do the same – it was so much fun! 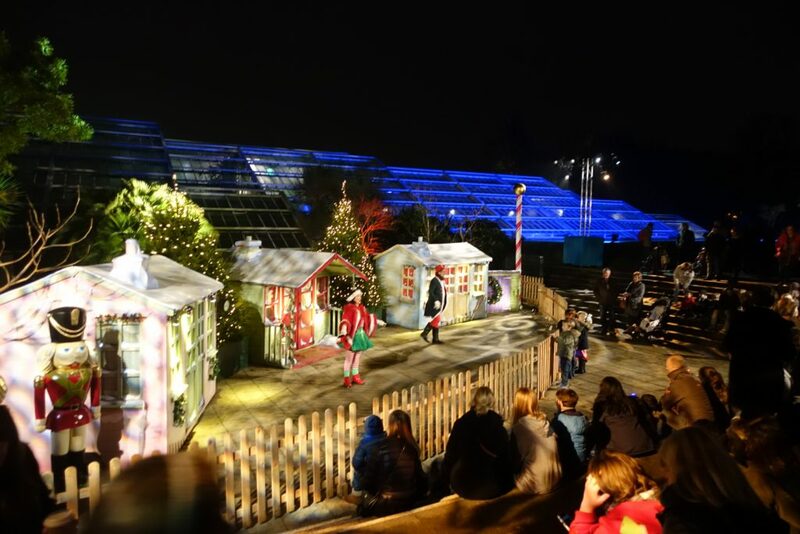 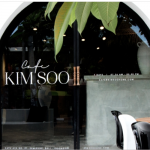 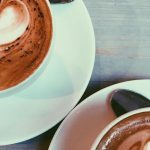 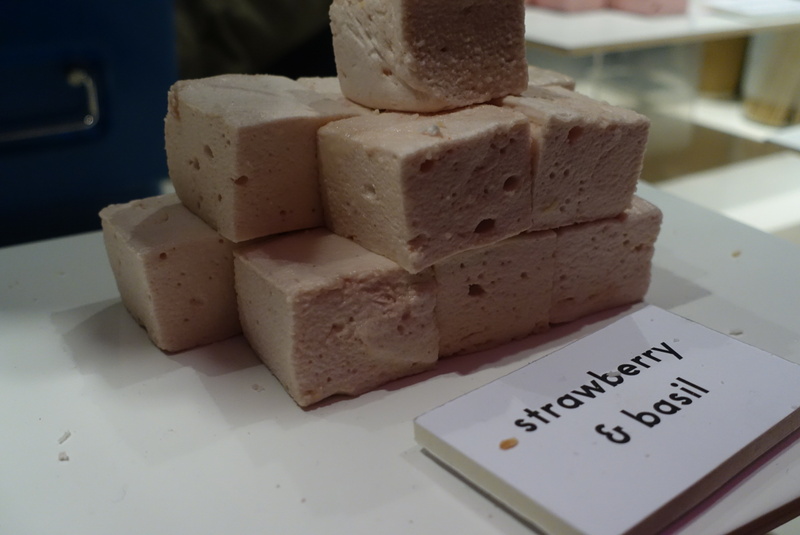 It’s also a great place to take kids as they have little theatre shows and everything! And the grand finale, was this incredible light show overlooking the dome building across the lake, where there was Christmas music accompanying each change in lights. 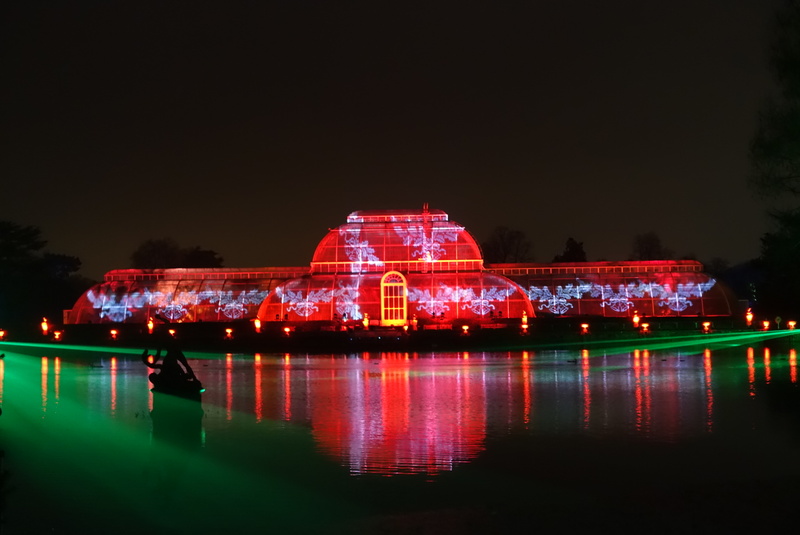 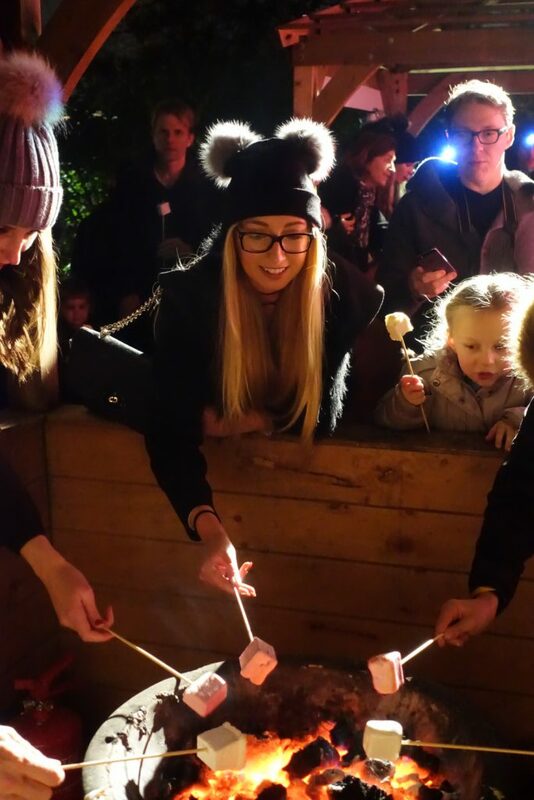 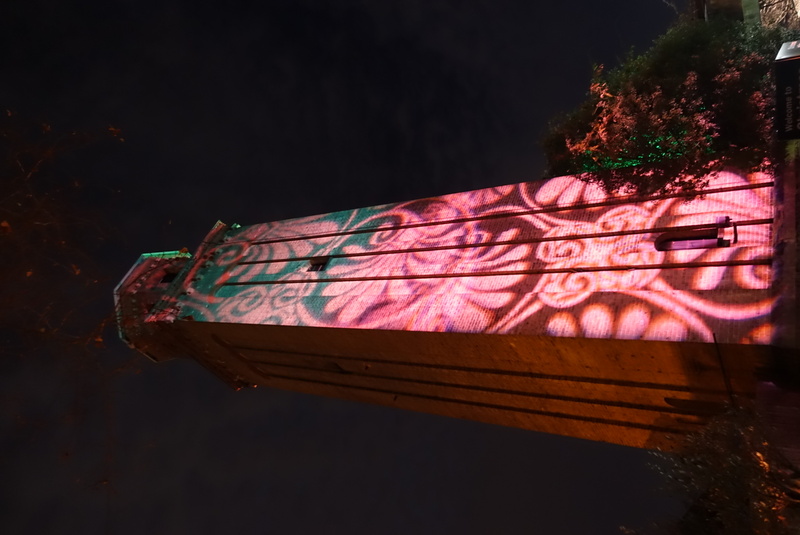 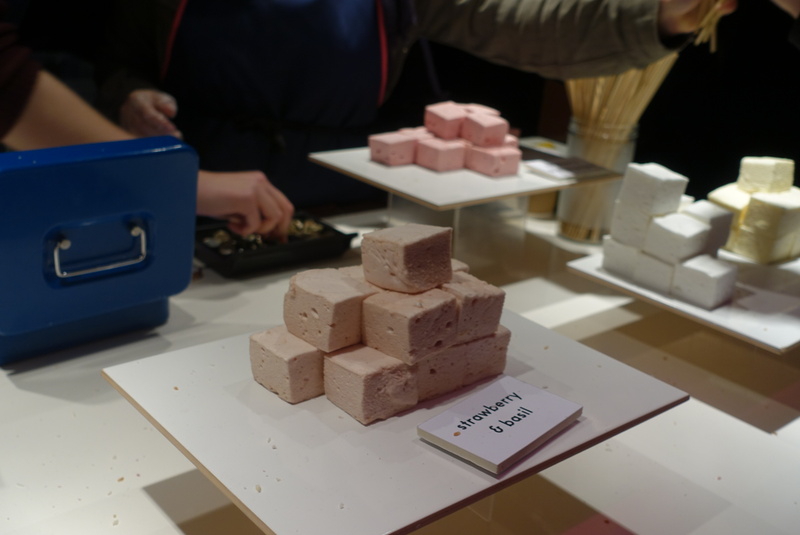 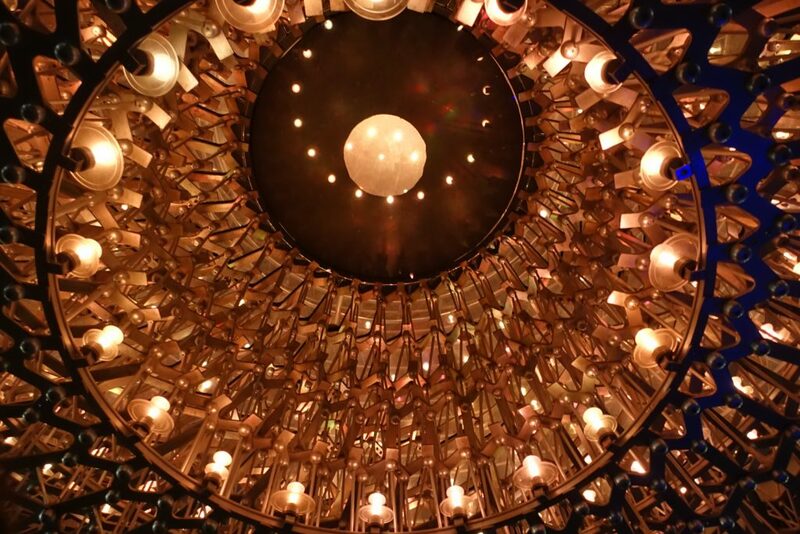 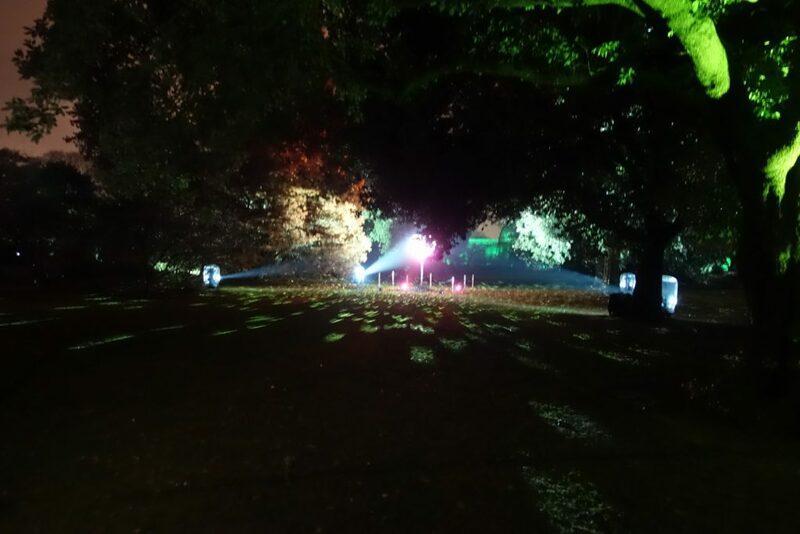 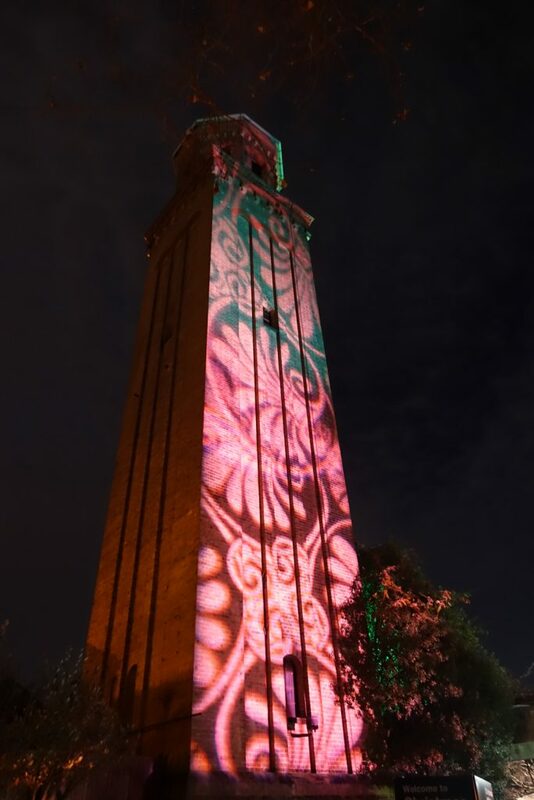 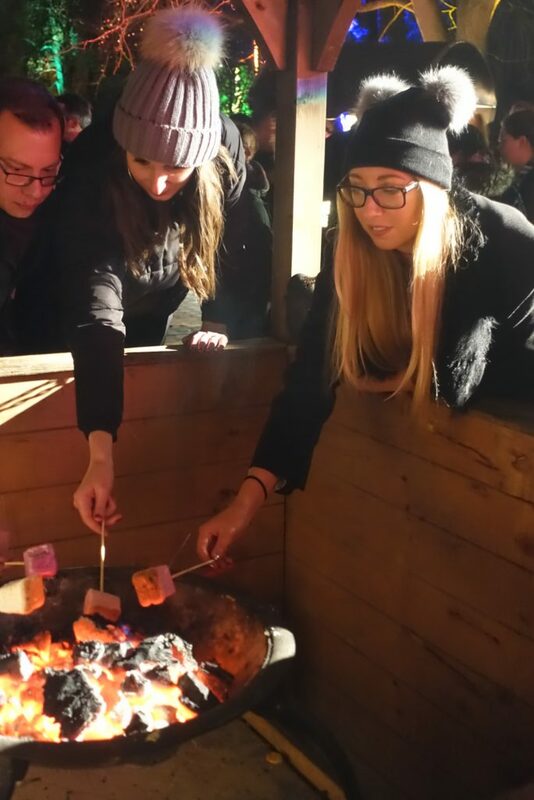 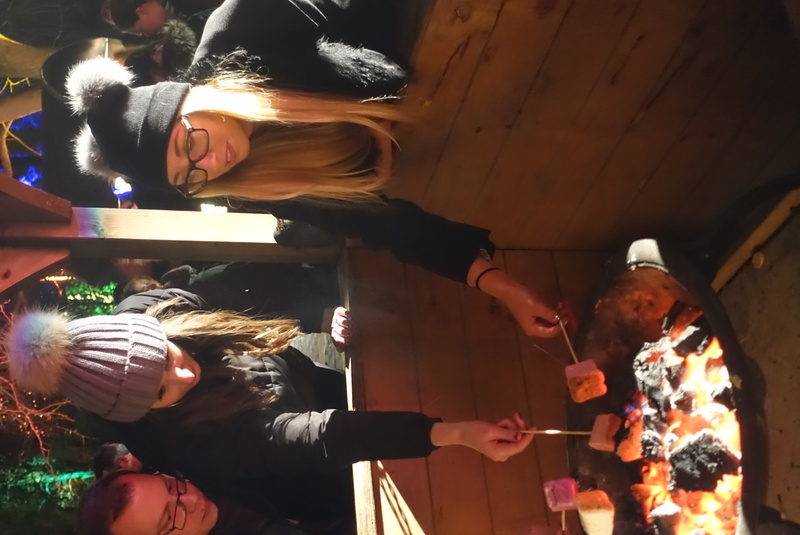 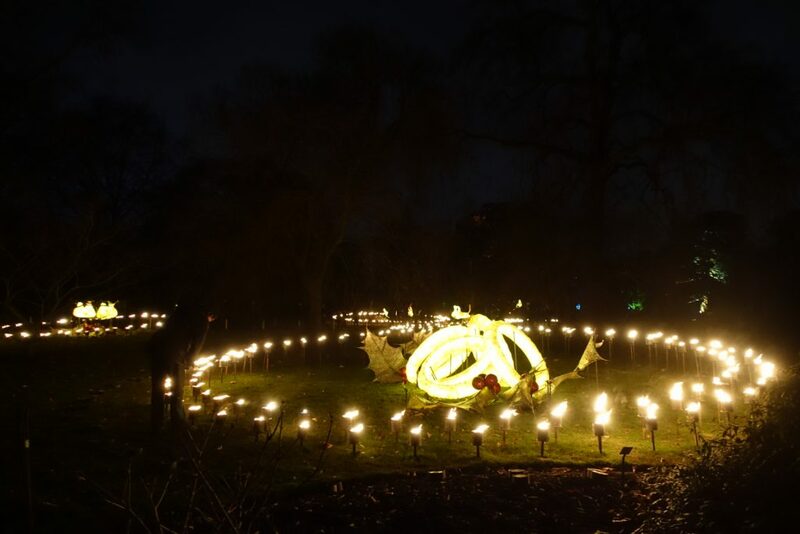 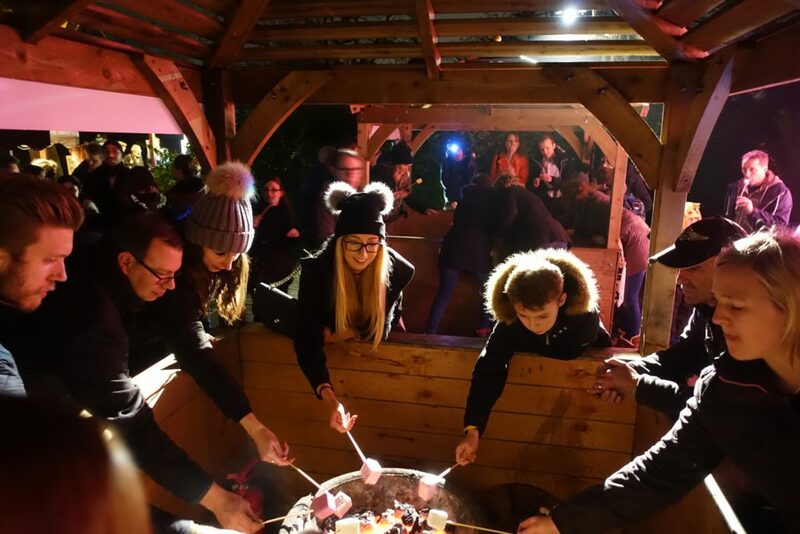 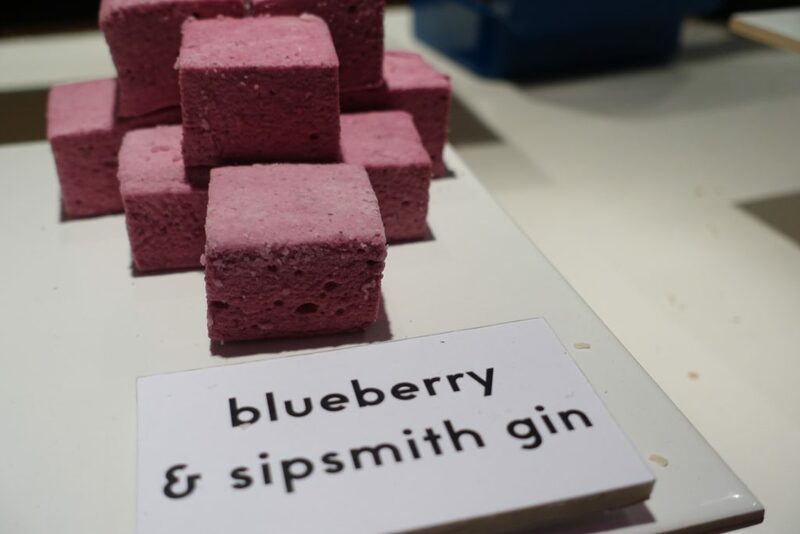 It was such a lovely evening out and it actually runs until 2nd January so you could still get tickets – or maybe save it for your bucket list for next Christmas! 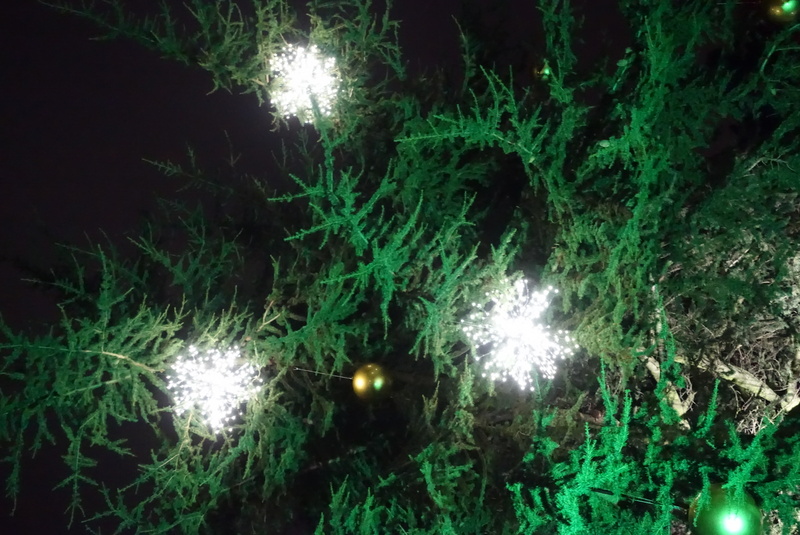 Anyway, it’s Christmas eve so I will be signing off to spend time with loved ones – I hope you have a very merry christmas and that your 2017 is filled with good health and happiness.